This weeks Premier League action was one of the biggest yet at both ends of the table. Game week 26 has provided one of the biggest weeks in this seasons Premier League campaign at both ends of the table. 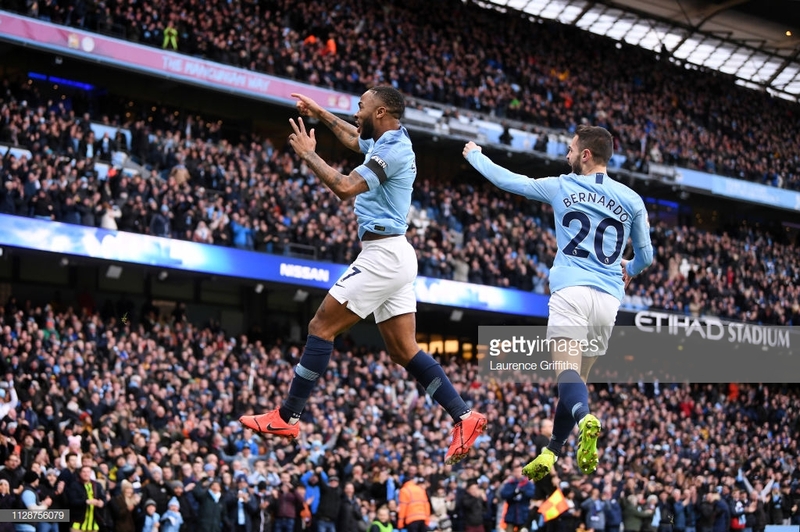 Manchester City absolutely obliterated Chelsea 6-0, which put the champions back at the top, forcing the Blues to drop into sixth on goal difference, due to the heavy defeat. Jurgen Klopp's men kept up with the pace of title race, however, with an easy 3-0 victory over Bournemouth, but, with their game in hand, they remain second. Arsenal's narrow victory over bottom of the table Huddersfield pushed them ahead of Chelsea into fifth, however, the real winners in the top four battle were Manchester United after their flawless victory over Fulham put them into fourth. Plus, there was a mid-table clash which saw Marco Silva's nightmare get even worse, as he lost to his old side Watford 1-0. Also, Crystal Palace and West Ham United played out a 1-1 draw in the middle of the league. Down at the bottom, Cardiff City got arguably their biggest result of the season with a late winner against Southampton, just as Burnley got one of their best results in a 1-3 win over Brighton. Also at the bottom, Willy Boly broke Newcastle United hearts with a 95th-minute equaliser. There is losing and then there is just getting utterly embarrassed. Man City truly demolished Chelsea at the Etihad on Sunday, and the performance from Maurizio Sarri's lot may go down as one of the worst efforts from a top-four side against a fellow top-four side in recent Premier League history. From start to finish Chelsea was not in the game, and the match was 1-0 before you could finish making your brew, then it became 4-0 before you could drink it. In this 6-0 victory, City's main man once again was Sergio Aguero, as he equalled Alan Shearer's record for the most Premier League hat-tricks and, in truth, the Argentine could have had more. It is no surprise that when City turn it on and show their ruthless, fearless mindset, they destroy teams, and, right now, they are proving to be once again the team to beat, not just in England, but perhaps on the continent as well. FACT: This was City's second widest margin of victory in the Premier League, after their 7-0 win against Norwich in 2013. It has become very apparent that Jose Mourinho was largely responsible for the poor form of Paul Pogba, because, under Ole Gunnar Solskjaer, he has scored eight times and assisted six in just 11 games, which is more than anybody else in the Premier League since the arrival of the Norwegian. This unstoppable form comes as little surprise, of course. At Juventus, when Pogba was allowed to roam freely, he would produce performances of the highest calibre time after time, just like he is now. Now, every time he gets on the ball in the midfield, he drives forward and coasts past any player in his way, and every time he gets into the box, he seems to score, whilst beautifully perfecting the 'midfield maestro' role. Whether it be with his head, from long range, a tap-in, a penalty, a clever finish or an effortless wonder-strike, the Frenchman can clearly do little wrong right now, and you'd have to put forward a strong argument to state why he isn't the Premier League's best right now. FACTS: 80% of Pogba's 13 goals so far this season have come under Solskjaer and nobody else has been involved in more goals in Europe since Solskjaer's takeover. What a result it was for Burnley! Six weeks ago, the Clarets looked like serious contenders to be heading back to the Championship after a humiliating 1-5 defeat to Everton at Turf Moor. Now, Burnley have gone seven Premier League games unbeaten since that defeat to the Toffees, which includes victories over fellow relegation strugglers Huddersfield and Fulham, whilst also becoming the only team to take points off a Solskjaer Man United side. These results, as good as they have been, have come too late to put Burnley comfortably back in the top half where they were last season, but, they have come at a time where they had to win, or most likely face the drop. Burnley, as Sean Dyche alluded to post-victory over Brighton, are not a fancy, free-flowing team. If they are gonna win, it'll have to be the 'Dyche' way or the highway. That means, counter-attack, remain solid at the back, play for the target man and consistently remain unbreakable in defence and midfield, despite how many attacks you face. All of which Burnley are now doing brilliantly. It's a funny old game football because the footballing world has non-stop praised Brighton for their superb results this season, however, Burnley are on the exact same points now after defeating the Seagulls. FACT: Only Man United are on a longer Premier League unbeaten run (9) than Burnley (7). It has been a recurring theme on 'five things', but Marco Silva continues to disappoint Everton fans, and when you happen to lose to the team you left to join your current team, you cannot help but feel like the writing is on the wall. Everton's defeat to Watford has left them in ninth, only because Leicester City and Bournemouth faced tough away trips to Wembley and Anfield respectively. So, in some capacity, Silva has gotten away with it. However, Leicester and Bournemouth both have a game in hand over Everton, so, within the next few weeks, they may drop down to as low as 12th. The Toffees are a team that should be contesting the top six, nevermind fighting for a place in the top half, and, if Everton do end up in 12th when that game in hand is played out, it will be their lowest position at this point in a season for four years. With that in mind, there seems to be little reason for Marco Silva to still be in the dugout. Nothing's changing, there was no transfer movement in January, he clearly can't beat teams around him and things are just getting worse and worse. Everton have not finished outside of the top 11 since they were almost relegated in 2004, but, unless things change, there would be no surprise if they finished as low as 14th. FACT: Everton have failed to keep a clean sheet since the 24th November (16 games ago). This is the worst current run in the Premier League. The relegation battle is becoming impossible to call. Currently, Crystal Palace in 13th have the same points as Brighton and Burnley who are in 14th and 15th respectively, whilst Newcastle are edging away in 16th with 25 points. However, despite how close it has become, Cardiff's victory over Southampton brought them out of the drop zone and onto 25 points and pushed Southampton back in there with their 24 points. This incredible result comes after a 93rd-minute effort from Kenneth Zohore trickled into the net, giving the Bluebirds all three points. Neil Warnock's men are, of course, far from safety, but to take three points from the team closest to you in the table gives you a massive boost. They are still one just one point clear of the drop, and, as we know, the Premier League is constantly throwing changes at us. But, for now, Cardiff have registered an almighty result down at the bottom. FACT: Cardiff were leading at half-time for the first time since the final day of their last Premier League campaign back in 2013/14.